Whew it's been a big old mess this year with sale, but I was finally able to get back in and check out! The first three times I attempted the site went down right as I was trying to checkout! Did this happen to any of you guys? But as of right now it seems to be running smoothly and the lines seems to be moving much faster. If you are still in line or plan on coming back for more, I thought I would share with y'all my favorites that are included in the sale this year! This Carmel Printed tank dress is only $39!!! It was one of my most worn dresses last year, and it's perfect for just tossing on durning the hot summer. Is everyone as excited as I am about the Lilly Pulitzer After Party Sale!?!! If you missed my post yesterday, go check it out here for tips on how to make your checkout smoother, and also for my first giveaway! Also, if you entered yesterday you can still enter again today. It can only increase your chances to win! Included in this giveaway is a $50 Lilly Pulitzer e-gift card, Insulated Beach Cooler, a pair of the slow poke turtle earrings, and this adorable note card set. To enter, all you need to do is leave me a comment and let me know what you've snagged or are hoping to snag this year from the sale!!! So excited for the sale!! I am wanting some shorts and a dress for my daughter and I ! I would love to snag some cute dresses for this summer! Such great giveaways! My favorite sale of the year! I am hoping to snag another Elsa, an Essie dress and a few other goodies!! Hoping the get a sophie dress and elsa top! Hopefully I'll be able to grab an Elsa top and a couple of flowy cotton dresses. Would love to snag an Elsa blouse! I am hoping for a few more luxletic pieces! Also some smaller items to restock my last minute gifts for friends. Always a good opportunity to stock up! 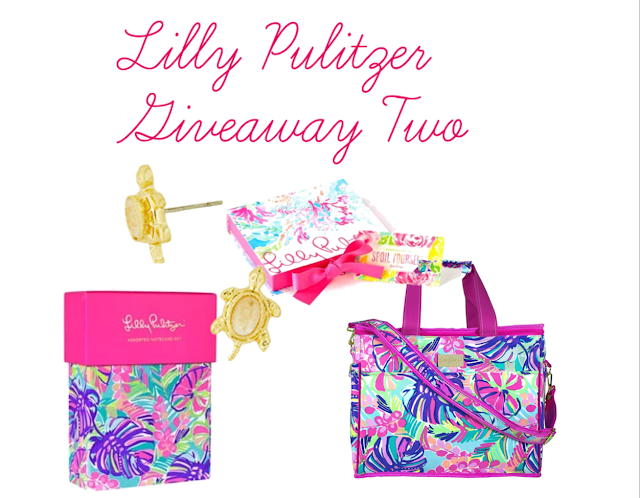 I want dresses and of course, matching for my mini...love this giveaway! Hoping to snag a new elsa top, in gimme some leg if they have it, a sophie dress, some fun trinkets/accessories, and a maxi dress or skirt! Good luck everyone! An Elsa will be mine! Hoping to snag matching dresses for my daughters! Fingers crossed to snag an Elsa top and dresses for summer!! Just snagged two Elsa tops! Puts me in the spring mood. Still waiting in line, but I want to get some more Elsa tops!! Still waiting in line :(, but always stock up on shifts for my girls! So cute year round! elsa top, essie dress or shift dress for my daughter! thanks!! Got lots of cute things including the Blythe dress and Sienna dress. Thanks for the tips! I'm hoping to get a few girls dresses - my daughter is dress obsessed! I'm trying for an Essie dress! I am still in line but really hoping to get an Elsa in a pink color! In line...wanting a cute spring transition shift dress! Been waiting since it started this morning -- wanting a wall calendar, and maybe something Luxletic! Ugh, still in the que after two hours. If I ever get in I'm hoping for Elsas and Callahans! A shirt, shorts and a dress. I checked out before it crashed again and have been waiting forever to get back in! I really want to get a sweet summer dress! Waiting to get in! I'm hoping for some Elsas and a romper! Yay! I want to grab an Elsa too! I really want to grab a pop-over and a pair of shorts for summer! I'm hoping to score a bunch of Elsas & a fun new dress for spring (but hey, once you get in after waiting in line, the sky is the limit! Hahaha) fabulous giveaway!!! I was able to get an Ali and Blythe dress, and I'm so grateful! Hoping to get an Essie tank and Elsa! Can't get in, but hoping for an Elsa! I would love to score an Essie top, and little Lilly shifts for each of my girls! Thank you! Elsa tops and Lilly shifts! So super excited I was able to score a few dresses, palazzo pants and a couple tops! Love the APS! Hoping for popovers and girls' shifts! Still waiting to get in! Dying to add to my Elsa top collection! Purchased a Sleeveless Essie top in Multi Roar of the Seas, and a Melle Trapeze Tank Dress! 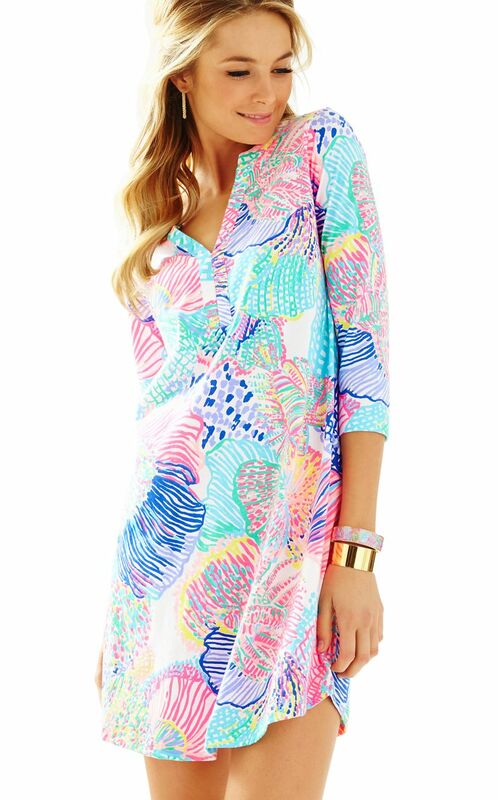 I am dreaming of Lilly dresses, shift or sheath will do! Your give away looks amazing too! i would love to get a few Elsa tops. I got 2 new Elsas for myself and some shorts for my girls! Pop overs are my favorite!!!!! Still in line tho! Happy shopping. I really love anything! Can't wait to browse. hopefully gonna score some Elsa tops and some resort wear for our trip coming up in June. So excited. I don't own an Elsa top yet, and I'd LOVE to have one! I haven't shopped yet! I got the Amberly swing dress! So excited to have it to wear year round! I got two Essie tops and a Jupiter Island cover-up. I keep going back for more! I really need an insulated beach cooler as my current one fell apart! Some new Elsa and Essie tops are on my list! Missed the girls' swim suits, but stocked up on dresses and shorts for my girls and a couple tops for myself! Was able to snag some cute dresses! I got a dress for myself and shorts for my daughter! So super excited..Waiting to get in! I want to get some more Elsa tops!! Site crashed on me twice 😫 But I was finally able to snag some little Lilly for my girls! Love the blythe dress! Read it runs big, though, but am nervous to size down! I need that Caftan for my trip to Turks coming up! Love that beach cooler! I got an Essie top, Essie dress, a few other dresses and shorts! I was hoping for a dress to wear to an upcoming wedding this summer, but I was too late because I had to work! I shopped the Shia midi skirt and the Reagan zip up sweatshirt. I wish more people would wear Lilly in Colorado! Hopeful they will add a few kids bathing suits! I purchased a few shift and tank dresses and Elsa tops. It was definitely a much longer process than previous sales. Ali Dress and Duval Top! Thanks for doing a giveaway! Elisa's (of course) and a couple of cute things for my girls!!! Not getting anything this time, but the prices are amazing and I'm really liking the MILA SHIFT DRESS . I got stuck in the que forever this morning so I only got to grab one thing I had my eye on. The Marina Dress in nice Ink! I am trying to find dresses for my bridesmaids (maid of honor and matron of honor- my sisters!) to wear while we get ready on the morning of my wedding! �� So many beautiful options! I snagged the Karlie Wrap Romper, Fifer Silk One Shoulder Top and Shari V-neck Top. I think these will all be great to pack for our Disney Cruise in a couple of weeks to celebrate my two boys birthdays. I would love to have the Luxletic Weekender Legging. I want to order the Sydney caftan top. Love the tassels!! I really wanted to order the Sydney Caftan Top, but my size is already sold out. 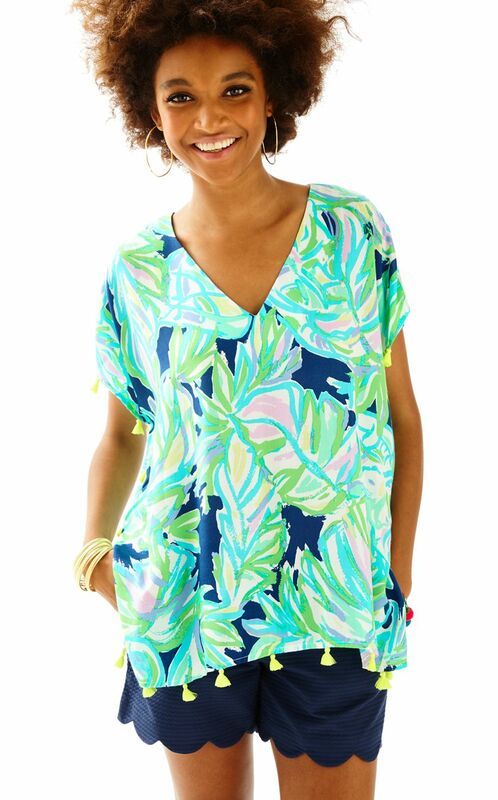 I've never owned a Lilly piece so I would love any of them! If I really have to narrow it down though I would def pick one of the dresses. Earrings, and the Elsa top! Snagged a few sets of matching shorts for my littles. Somehow they always end up wit more than me! I snagged an adorable Beacon T-shirt Dress and agenda folio!! I haven't bought anything yet, but I'd love a Sydney top! Love your blog! Got the Carmel Printed Tank Dress! Perfect for FL summers! I got an Essie dress and Amberley swing dress! I got a tank for myself and my girls shorts to match it! Can't wait for some cute family photos on the beach! Haha! Love the dress you have on in this first picture.. I bought a pair of buttercups, a Sloan maxi, and a skirt. I almost snagged a beach blanket from a few seasons back, but it wouldn't add to my cart (maybe a mobile website problem, but probably it had just sold out). I was able to get a couple pairs of shorts, Essie tank and the Ali dress! Hoping to get the Ali tshirt dress and definitely some jewelry!! I am hoping to snag shorts or a dress. I was able to get a Ali Dress and a Duval top! I wanted a Elsa too and Skipper popover, but they sold out too quick! Good luck with settling in your new house-i can't wait to see pictures! I'd love to get the Colie T-shirt and the Elsa Top -Jam Out. Any tops, really, would be great. I would love a bag! Cute gift set! Just adorable and reminds me of summer.